A farewell party is not a very happy occasion, but it is held to wish luck to the person who is leaving for another place or job. Organizing a farewell party is similar to how you organize other kinds of parties. Make a list of guests: This is one of the first steps for organizing any kind of party. You have to make a list fo people who are close to the person leaving. Make sure you ask around his friends and colleagues to make sure that you do not miss inviting anyone important. Fix the date and venue: The next step is to fix the date and venue of the farewell party. The venue has to be a place convenient to most of the guests. The date must also suit the main guests and all his dear friends and colleagues. Make sure you choose a venue that can accommodate all your guests. Send invitations: Free online invitations is the best choice for farewell parties. Simply choose your favorite template, enter all the details and send the card to all the guests in one click. You can also choose a card where you can upload a picture of the person who is leaving. Arrange the decorations: You must also properly decorate the venue for the farewell party. Make sure you use decorations that match the theme of the party. Organise the food: If you are organizing the party in a hotel, then you can order the food from here as well. However, if you are planning to have the party in someone’s home, then make sure you make arrangements for the food for the party. Organize some farewell speeches: This is also important for a farewell. You must let the person who is leaving how important he is to all of you. Arrange for a few friends to talk about him and the fun times you had with him. Don’t forget to wish him luck and it is best to keep the speeches short. Buy a farewell gift: It is very usual to give a gift to the person who is leaving. You can choose gifts that he can take with him and not anything that is too big or heavy if he is travelling to a distant place. Don’t forget to capture memories: You have to arrange someone to take photographs for the day. You will need the memories of this day. Email the photos to everyone who attended the event. The busy life style of parents is making them rely more on party planners in Delhi. Most of the working parents want to put up an amazing birthday party for their kids, but unfortunately they cannot find the time to arrange everything because of their busy work schedule. Party planners in Delhi are increasing in number and it is becoming difficult to make a choice. To organize a party without any flaws, it is best to hire a party planner in Delhi. Most of the Delhi party planners are professional in understanding your needs and working out the best suitable party for your kid. All you have to do is share you idea with them. After this, they will take everything under their control and plan everything appropriately. Choosing the best party planner in Delhi is one of the most important tasks before you. You have to make a good research on the Internet and also ask amongst your friends before you make your decision. The key abilities that a party planner must possess are ability to manage time, multitasking, communication skills, professionalism in everything they do and capability to deal with sudden downfalls. A good party planner should be able to deal with tight deadlines. Unless she can properly communicate with you, she will not be able to understand your requirements correctly. So, communication skills are really important when you choose a wedding planner in Delhi. Party planners also need to be filled with ideas. When you speak of your requirements, they must be able to come up with ideas to make the party perfect. Searching on the internet is one of your best options to find the best wedding planners in Delhi. Create a Party Invitation now! A farewell party is not like all the other parties you hold or attend. The most important difference here is that you always have mixed feelings as you wish the person leaving all the best and at the same time experience a sense of loss. A farewell party is usually organized for your seniors at college or school or also for a friend or colleague who is moving away for any reason. Like all other parties, you need proper planning to hold a nice farewell party as well. First decide the budget: This is one the first decisions you have to make when you are hosting any kind of party. If you are organizing the party as a group, you will need to have a rough estimate of how much each person is willing to pay for the farewell party. Decide the guest list: This is also a very important step. You have decide who you are going to invite for the farewell party. Write down the names of the people you wish to invite and this will give you an idea of the number of guests who will be attending the party. Set a date and venue: When you decide the date, make sure that you choose one that is convenient to the person who is leaving. The convenience of the majority of the guests must also be taken into account. Weekend would be the best time to hold a farewell party. Based on the number of guests you are inviting, you have to choose a farewell party venue in the locality. Never choose a hall that is inaccessible to most of the guests. Send out the invitations: Send out free online invitations for farewell party to all your guests. The easy to use RSVP option in such cards help your guests to respond immediately, thus making the task of organizing the party much easier for you. Don’t forget to get a farewell gift: Include the money for getting a farewell gift within the budget. A gift will serve as a memento to the person who is leaving. Don’t forget to take the gift to the venue on the day of the party. Speak a few words: You must plan to let someone or a few people speak a few words on the occasion. The speech need not be too long, but make sure you express your best wishes to the person who is leaving. Reconfirm all the arrangements and make sure you enjoy the party. It is certain that a few tears would be shed at a farewell party especially when the party becomes an unforgettable one. So go ahead, plan everything well and organize a farewell party that will be remembered for a long time. 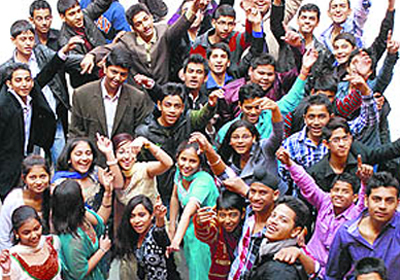 Reliving the good old college days or school days is indeed a great experience. You can now plan a reunion of your college or school very easily. The social networking sites definitely give us a platform to keep in touch with each other and meeting everyone occasionally is not as tough as it used to be. There are so many aspects that you have to consider when you have to consider when you are planning a reunion party in India. Find a team of helpers: You cannot manage everything by yourself. You need help from at least from a few of your old classmates to organize everything well. You can also consult your old friends for ideas and suggestions to hold the reunion party in India. It might also be necessary to assign tasks between the team members to get everything done well. Plan your budget: This is one of the main things that you have to consider when you are planning a reunion in Bangalore, Chennai or other parts of India. The expenses for the reunion are most often shared by everyone attending the function. So, it is important to reach a consensus before you make the arrangements. Make sure that you include all the expenses in your budget. Find out all your old schoolmates or classmates: This is not really a tough job these days. A reunion party becomes fun only when you have the maximum number of attendees. Search online networking sites like Facebook to find all your missing classmates. Choose the venue: According to the budget planned, you have to decide a reunion party venue in Mumbai, Bangalore and other major cities of India. If you can hold the reunion party in your school or college, that would be best. Send out invitations: You have to invite everyone for the reunion party well in advance. The best way is to use online invitations for reunions from Yoovite.Com. Simply select your favorite template, enter all the details and send you card to all guests at once. The easy to use RSVP option enables your guests to respond immediately and hence you can keep proper track of your guests. Arrange for entertainment: You must also make arrangements for entertainment when you are planning a reunion party. The best option to save money is to have some games organized amongst all of you. Make reconfirmations: You also must make sure that you reconfirm with everyone before the decided date. If you are using online invitations from Yoovite, then this task becomes really easy. Arrange a photographer: There are going to be many candid moments. Make sure you arrange a photographer to capture these moments. It is indeed a tough job to say goodbye. However, farewell parties are a common affair in several parts of India. Farewell parties are held on several occasions like ending of school year, ending of college term or transfer of office staff to different locations. You have to plan well in advance, if you want to organize a fully-fledged and interesting farewell party in India.Inviting everyone to the farewell party would be an easy job with free online invitation tools like Yoovite. You can get everything done in a jiffy and also make sure that you have not missed inviting anyone for the party. Organizing games for farewell parties are very common in India. You could have so many kinds of games as follows.Quiz Games are an amazing choice of game for farewell parties in India. You can hold the quiz in any field like Movies, Music or Sports. Make sure that you have thought of enough questions for the party and that everyone playing the game stays interested. Another common form of quiz that is held for student farewell parties is Truth or Dare. This will include questions that can help to build up fond memories of all the fun you have.Treasure Hunt is another game that you can organize for farewell parties in India. A theme has to be chosen for the game and you must find out interesting clues to keep your participants engaged in the game.Almost all farewell parties in India would include some singing and dancing. Dancing to DJ music would be a great way to enjoy in farewell parties.You could also organize musical chair where singing and dancing can be enjoyed by all. Play only the most popular songs in the background. Farewell parties for offices must also include some gifts with nice farewell messages. The gift you choose must remind him or her about the lovely times you had together. The farewell message can add a personal touch to the gifts and make it more valuable. If you are planning to gift as a group, then a farewell mug with a group photo would be the best option. A collage of several photographs would also be a nice gift for farewell parties. You must also not forget to arrange a nice caterer to plan the food for the party.